DonQui really loves rice. In fact if he had his way he would probably serve it with just about everything. When he cooks rice he often makes more than he needs and saves what is left over to make a fried rice dish the next day. 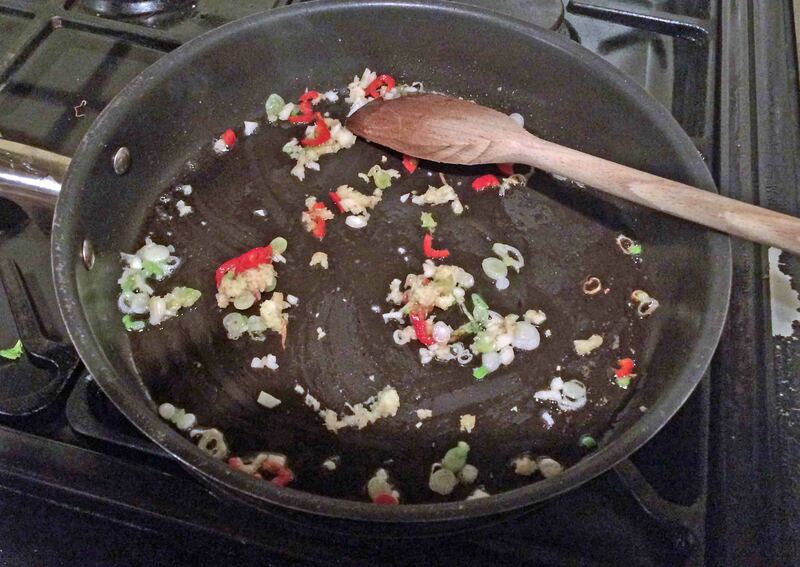 There is a bit of a myth that one should not re-cook rice. 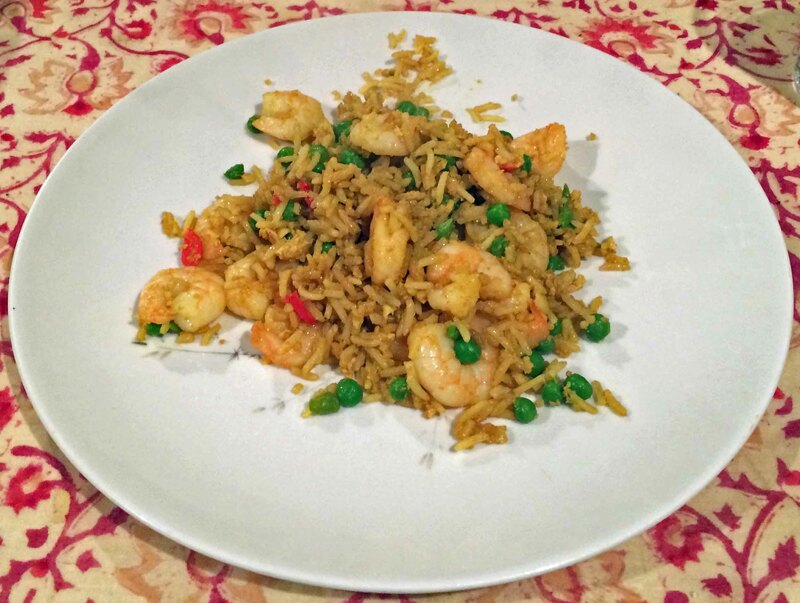 However, as long as the rice is kept in the fridge and not left out at room temperature for any length of time, then there is no problem. 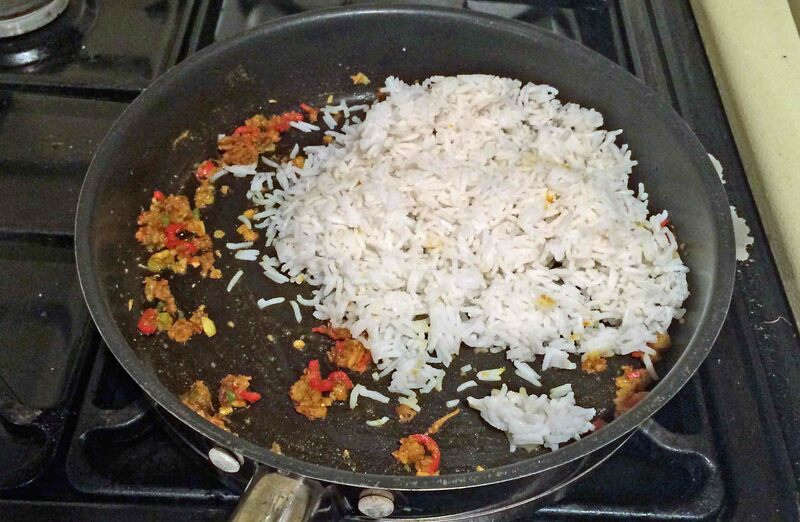 If concerned you could always cook the rice on the day rather than using left-over rice. He plays around with the ingredients depending on his mood but this is one of his favourites. 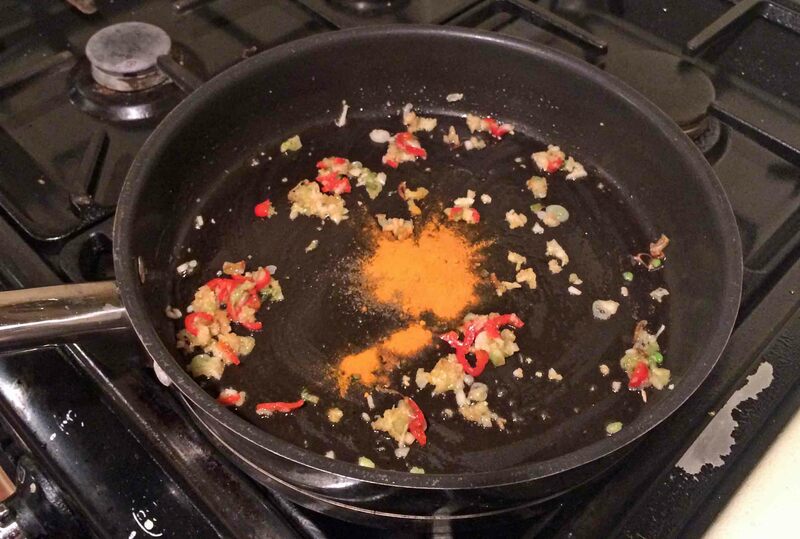 Add the turmeric and cumin and stir together for a couple of seconds. 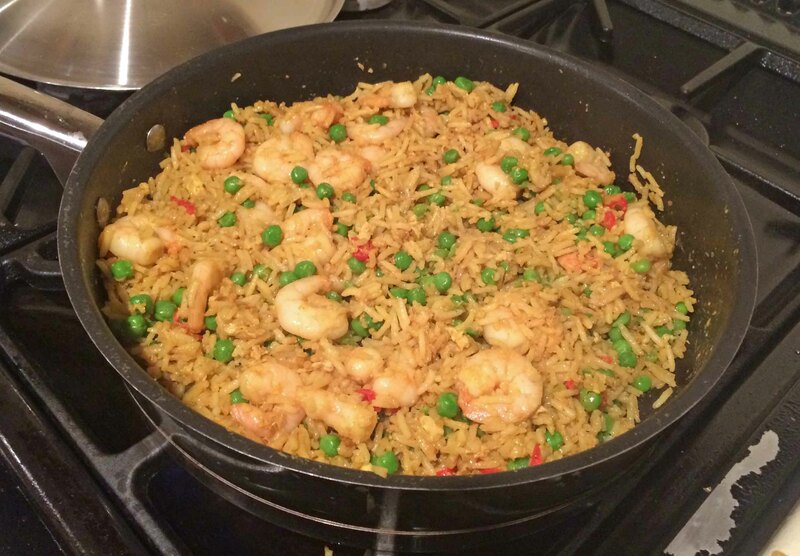 Throw in the cooked rice, and mix it all up for a minute or two until the rice is evenly coloured. 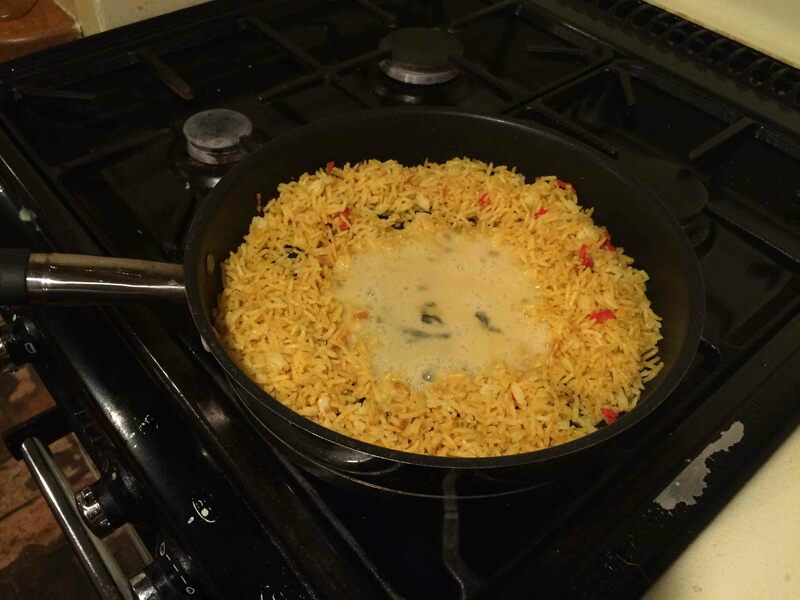 Create a well in the middle of the rice, pour in the beaten egg and scramble it together with the rice for a couple of minutes. 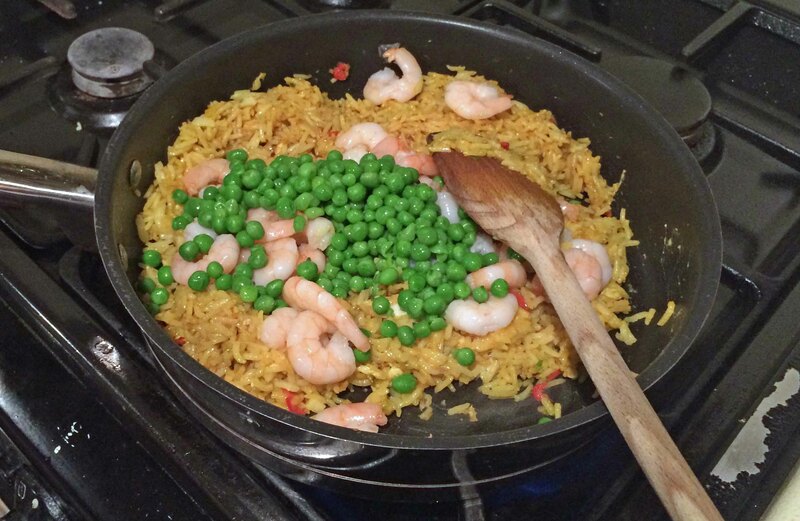 Then add the peas and prawns, stirring together with a good splash of soy sauce until everything is nicely blended and warmed up. DonQui often puts a lid on the pan for the minute to help it heat up. Serve with extra soy sauce and sliced spring onions on the side.